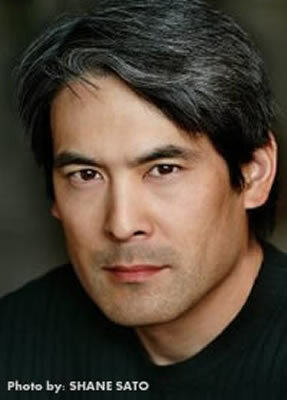 Chris Tashima is a multi-award winning actor working in film, TV and theatre for 25 years. On screen, he starred opposite Joan Chen in Eric Byler's AMERICANESE, which won a Special Jury Prize for Outstanding Ensemble Cast and the Audience Award, Best Narrative Feature at the South by Southwest Film Festival. He starred in Sherwood X. Hu's LANI LOA - THE PASSAGE (executive producers Francis Ford Coppola and Wayne Wang), Hu's ensemble drama, ON THE ROOF, and Rea Tajiri's STRAWBERRY FIELDS. Onstage Chris appeared in world premieres of Ken Narasaki's NO-NO BOY (adapted from the John Okada novel), Chay Yew's A LANGUAGE OF THEIR OWN (LA Weekly Theater Award, Ensemble Performance), and Laurence Yep's DRAGONWINGS. Also a director, Chris received an AcademyAward® for his narrative short film VISAS AND VIRTUE, and an EMMY® nomination for the half-hour PBS Special, DAY OF INDEPENDENCE.